Home » Resource Centre » Learn » What are the IS.. Individual Savings Accounts, more commonly known as ISAs, are a way of saving tax-efficiently. Despite this, the number of Adult ISA accounts subscribed to last year fell from 11.1 million in 2016/17 to 10.8 million in 2017/18. However, if we take a closer look at the figures, we see that stocks and shares ISAs are gaining popularity, with an increase of nearly 250,000. There’s also good news for children, with around 907,000 Junior ISAs subscribed to in 2017/18, which represents a sizeable increase. If you’re ready to get going with an ISA for the first time, or with fresh impetus for 2019/20, how much can you save into the different types of individual savings accounts? 2019-20 is an interesting year as the annual ISA allowances for adult ISAs are not increasing. The total amount you may invest in an ISA for yourself is £20,000. This is the same as the last tax year. If you have two or more different ISAs, your total contribution must not exceed £20,000. However, ISAs don’t all have the same allowance. For example, Help to Buy ISAs you have a maximum allowance of £200 a month, and can save an initial deposit of up to £1,200 (which is inclusive of your first monthly payment of up to £200). In a Lifetime ISA your maximum allowance is £4,000 a year. Junior ISAs have different limits, and they are rising this next tax year to £4,368. You cannot carry over unused allowance from one year to the next. You must use it or lose it. You may, however, choose to split your allowance across different types of ISA. Alternatively, you may want to use your full allowance on one ISA. 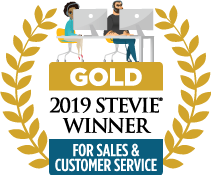 Our Stocks and Shares ISA is a good example. You can open the ISA with a lump sum between £500 and £20,000. You can then make regular contributions from £30 a month or make lump sums as and when you like. You can continue contributing to the ISA up to a total of £20,000 (including any other ISAs you may hold). ISAs were brought in back in 1999 replacing other forms of tax-efficient savings. They are a great way to save, precisely because of their tax-efficient nature. You don’t have to pay income tax or capital gains tax on the returns, whilst it can be withdrawn as a tax-free cash lump sum. However, this means that there are set limits on how much you can save using an ISA. These are called allowances. To understand these limits, you need to understand that there are different types of ISA available. • Cash ISA: Perhaps the simplest type, and therefore most popular, but it should be noted that their popularity is falling as interest rates are so low. It’s a completely tax-free way to save. They are a safe way to save, protected by the Financial Services Compensation Scheme. But they often have very low rates of interest of around 1% or less, so you won’t see huge returns on your money. • Stocks and Shares ISAs: Historically Stocks and Shares ISA tend to give you better returns than Cash ISAs, although this is not guaranteed. Your money is invested in stocks and shares, as the name indicates. As such, returns can go down as well as up, so they are worth holding on to over several years. There will be a fee for managing your money, which is usually a percentage of the money you have invested. • Junior ISAs: Junior ISAs are a way to build up the cash savings of an under 18. A parent or guardian can open the account, such as the Shepherds Friendly Junior ISA, and family and friends can then contribute. This too is a stocks and shares ISA, adopting medium-low risk strategy to investment. A child cannot withdraw money from their Junior ISA until they reach 18. The tax-free limit for contributions to Junior ISAs is lower than for adults. • Help to Buy ISA: A Help to Buy ISA is a specific form of ISA designed to help first-time buyers amass a deposit for a property by providing a 25% boost to the savings. Help to Buy ISAs are Cash ISA with a lower allowance of £200 a month, plus a one off £1,000 lump sum. Therefore, you cannot save into another cash ISA if you have a Help to Buy ISA. • Lifetime ISA: The Lifetime ISA is similar to the Help to Buy ISA in that it also gives a 25% boost on savings, but there are some limits. It must be opened between the ages of 18 and 39. You will lose the 25% boost if you take out the money before you are 60 unless it is for your first home. You have an annual allowance in the Lifetime ISA of up to £4,000, and you can have a Stocks and Shares or cash version of this. Also, you can hold this alongside any other ISA, including stocks and shares and cash, but it will make up part of your overall £20,000 allowance. • Innovative Finance ISA: The IFISA is a crowdfunding product meaning you’re often investing in high risk but high potential areas. The limit to how much you can save in an ISA depends on the ISA type, with an overall allowance. The limits are revisited each year. 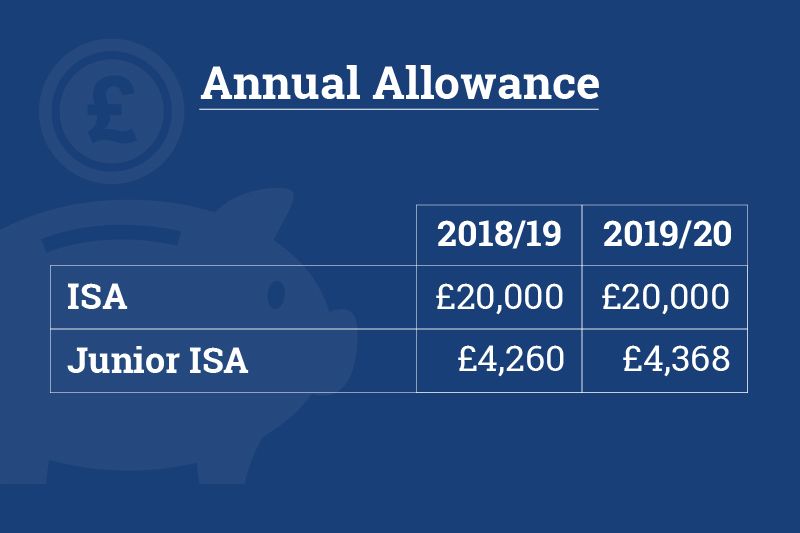 While adult ISA allowances have been frozen for 2019-20, Junior ISA limits have been increased in line with inflation to £4,368, from £4,260. As stated, the Shepherds Friendly Junior ISA is a good example of how you can use your child’s tax-free ISA allowance in 2019-20. You can open the ISA with as little as £100. You and family and friends can then make regular or ad hoc investments from £10. You can continue contributing to the Junior ISA up to £4,368 in the 2019-20 tax year. A Junior ISA is kept under the control of the parent or guardian until 16 but cannot be accessed until the child turns 18. With the Shepherds Friendly flexible approach, this means that your child starts their adult life with a valuable nest egg. It’s always worth using your full allowance when possible. If you don’t use it within the relevant tax year then you lose it, it doesn’t carry over. However, this means it is worth opening your (or your child’s) ISA as soon as possible so that you can take advantage of the remaining allowance for the 2018-19 tax year.